For centuries, Afghanistan has been an important source for top-quality lapis. 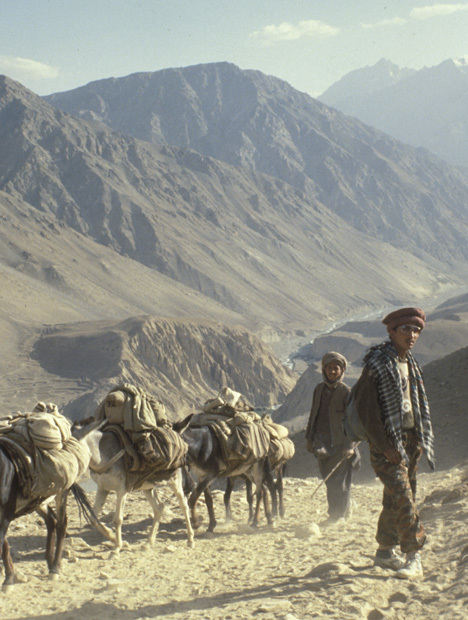 Badakshan, a province in present-day Afghanistan, is a forbidding wasteland of mountains, bare of any vegetation. The sheer mountain faces rise as high as 17,000 feet, and are scored with treacherous ravines. Humans make their way there to seek one thing only: the azure treasure that is fine lapis lazuli. The same was true as far back as 700 BC, when the region was part of a country known as Bactria. The lapis mines that were producing then are still producing today. They are, in fact, the world’s oldest known commercial gemstone sources. Merchant caravans transported their precious blue cargo across Bactria, on their way to the great cities of the ancient Greeks, Indians, Egyptians, Mesopotamians, and Persians. Marco Polo referred to the area’s lapis mines in 1271, but few outsiders have seen them because of their inhospitable location. 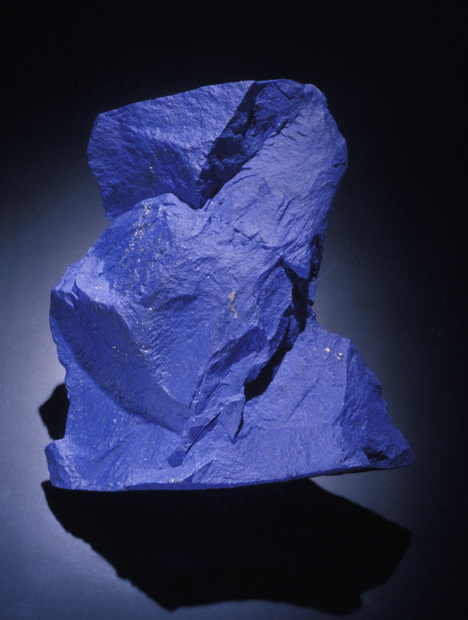 For thousands of years, lapis has been fashioned to show off its rich, dark color. 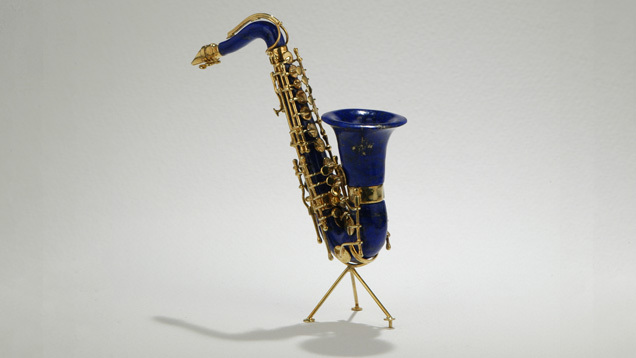 Typically, lapis used in jewelry has been cut into cabochons, beads, inlays, and tablets. But lapis lazuli’s use has never been limited to jewelry alone. It’s also a popular carving material. Throughout its history, lapis has been fashioned into practical objects, including game boards, bowls, dagger handles, hair combs, and amulets. 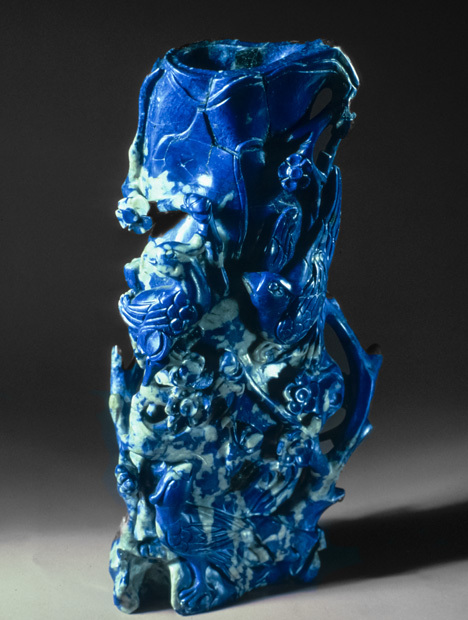 Today, lapis is frequently fashioned into freeform and nature-themed sculptures. Some of these carvings become wearable art, others are purely decorative. This striking tiger brooch is a creation of Cartier, New York, the famed design house. Its dramatic appearance features yellow diamonds, black onyx, lapis lazuli, and platinum. - GIA and Harold & Erica Van Pelt, courtesy Ishaia Trading Corp., New York. Explore lapis history, research, quality factors, and more in the GIA Gem Encyclopedia.